There’s nothing quite like escaping to the countryside to camp, but sometimes it’d be nicer to have a more comfortable sleeping experience. If you’ve been camping before then, you know that the whole sleeping experience can be unpleasant at times. It can make you uncomfortable throughout the night meaning that you can wake in the morning feeling unrested and irritated. An uncomfortable sleeping experience will have a knock-on effect for the rest of your day where you lack the concentration to take part in what most likely will be physical activities such as fishing and hiking. 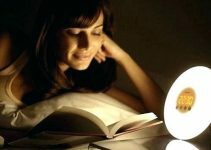 To get a good night’s sleep your experience needs to be as close to your sleeping routine at home. Of course, you won’t be able to keep it identical, but a camp bed will give you the additional comfort that you need. Okay so now you’ve decided that you want to use a camp bed for a comfier experience, but now you need to find which one is right for you. We’ve created this guide to show you the best camp beds on the market and the features that are the most important to consider in your buying decision. Who said that you couldn’t sleep in style when you camp? 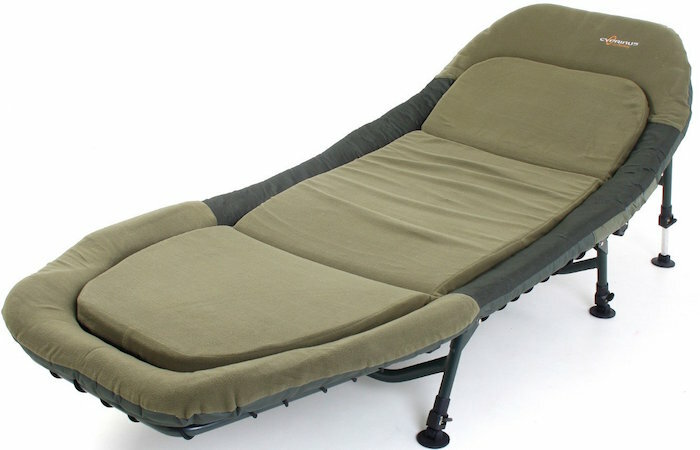 If you want to sleep in the utmost comfort, then the Cyprinus Memory Foam camping bed is the solution for you. The camp bed has a detachable memory foam mattress which ensures that supports your joint throughout the night. Memory foam material allows your body to slightly sink into the surface which then allows your muscles to relax fully allowing for more significant recovery. It's incredibly important when camping because you’ll likely to be very active throughout the day which makes your sleep even more vital. 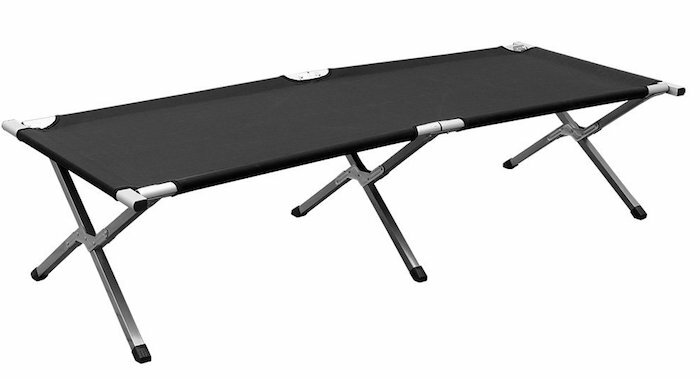 This camping bed is weight rated up to 200kg which is supported by six easy lock adjustable legs and a rapid folding mechanism which makes assembly quick and easy. 6 x Easy Lock Adjustable Legs. If you’re limited for space like most campers, then this is the camp bed for you. 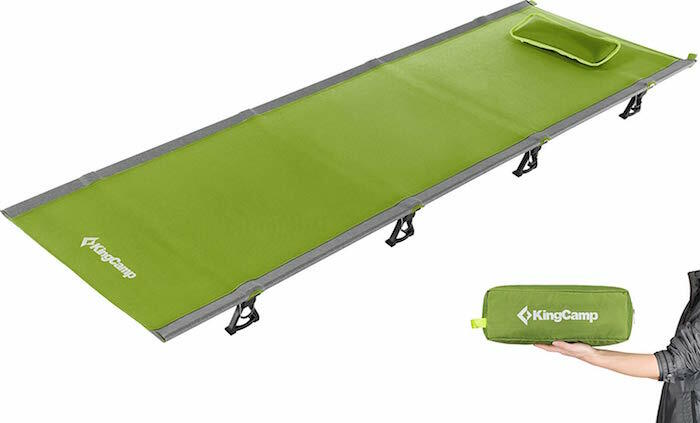 The KingCamp Ultra Lightweight Portable Camp bed weighs just 2.2kg so whatever trip you’re headed on this can be carried with no problems. The camping bed comes with a carry bag while also having a loading weight limit of 120kg due to having an aviation aluminium frame so despite being lightweight it’s strong. Being made from aviation aluminium also means that it will be durable and won’t need to be replaced year after year regularly. When it's unpacked and ready for use, it measures 190 ×64 × 12 cm whereas once it’s folded up, it measures just 36×13× 13cm. So if you’re looking for a camping bed that is compact, lightweight and gives you a great sleep, then you won’t go wrong with this option. The Kampa camping bed is ideal for couples or people that have trouble sleeping on a single sized bed. The bed is constructed with a steel frame which gives it a sturdy base so it can easily bear the weight of two adults with the max weight limit being 100kg per person for a total of 200kg. If added comfort is required, then you can also add an air mattress onto the top surface. However, many reviewers have commented that they’ve entirely replaced their air mattress with this camping bed and have experienced a better nights sleep. The mattress weighs just 12 kg and comes with a carry case, so it’s easy for you to take it on your travels and then store it away when it’s not in use. If you’re looking for a no-nonsense camping bed that requires no assembly, then you’re in the right place. 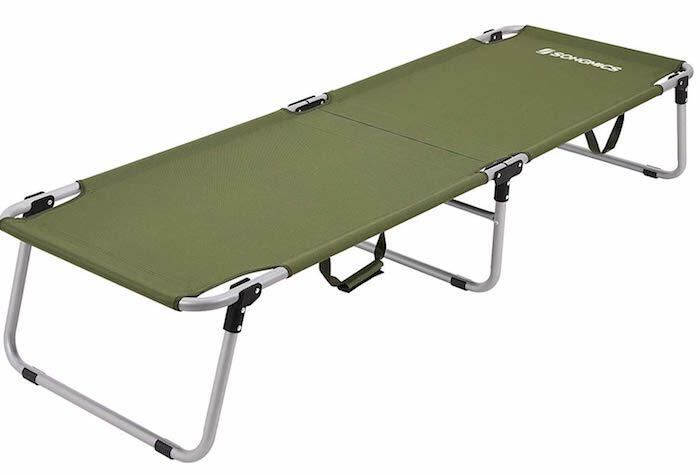 The Songmics Folding Camping bed has a robust and solid iron frame that has six tubed rust-resistant legs which give it the strong reinforcement it needs to have a weight load limit of up to 260kg. They haven’t forgotten about the sleep experience either with the bed having a 600 D strong oxford cloth with PVC coating with a strengthened middle section. The cloth is also moisture resistant which makes it great for the outdoors. The bed also comes in a carrying case, so it’s simple to take on your trips and isn’t just limited to being a camp bed but can also be used indoors for example if you have guests staying with you. If you’re someone that only goes camping every few years then maybe you’ve decided that you don’t want to spend a lot of money on this. Don’t worry we’ve got you covered with the AllRight Single Folding Camping Bed which is a lightweight solution that means you won’t be sleeping directly on the ground when you go camping. The bed has six aluminium legs which bear the weight load while also having a durable 600D Oxford fabric which makes it comfortable to sleep on leaving you feeling well rested in the morning. The material is also tear and ageing resistant, so it’ll last you many camping trips. When not in use, it easily folds down into a simple to use carry case. With a length of 190cm, it is long enough for people up to 6 foot 2 inches. What is a Camp Bed? A camping bed is a portable bed which is usually used when a larger sized bed isn’t appropriate or accessible. They are normally foldable, so they don’t take up much room while also being made from lightweight materials. It makes it ideal for camping or travelling because they can elevate you off the ground and are quick to set up as they normally will have a simple unfolding mechanism. Camping beds give your body the support it needs to sleep and rest effectively. This also means you don’t have to sleep on the ground where you are more susceptible to encountering bugs and other creatures. So if you’re looking for a camp bed, then it’s likely that you’ve also considered using an air mattress instead. There are several advantages and disadvantages of each that will affect the final decision that you make. When you go, camping space is often at a premium as you cram as many things into your car as you can. The beauty of an air mattress is when it’s deflated it takes up minimal space and can fit into a small box, whereas a foldable camp bed can require significantly more space in your vehicle. Air mattresses can be prone to sliding about through the night when you’re sleeping. 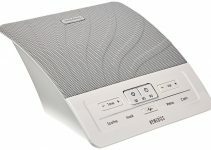 This can cause disturbances and if this frequently wakes you out of your deep sleep, then this can not only be frustrating but then also leaving you less than fully rested by the morning. Air mattresses are not made from indestructible material which means there is still a chance for them to be punctured which is more likely when you’re in nature. Although any tears can be fixed, it will still be an alarming surprise if your air mattress begins to deflate in the middle of the night suddenly. After a long day of hiking or other activities, the last thing you want to do is inflate an air mattress. Most air mattresses come with a hand or foot pump to make things easier. The highest quality air mattresses an electric pump which makes them self-inflating, but these premium products that have a higher cost. An air mattress may look more luxury, but it will mean that you’re sleeping closer to the ground whereas a camp bed will put more space between your body and the ground. This means that you’re further away from all the bugs and creatures that may enter your tent. By being off the ground, this allows air to circulate more effectively to regulate your temperature giving you a more comfortable night’s sleep. Space in your tent is limited, so every bit of space is needed. A camp bed gives you space underneath it to store more of your possessions. Bringing more of your essential belongings can make your camping experience more comfortable and homelier. Before you go out and buy a camping bed, you need to be aware of the best features to consider that will affect the quality of the product. The larger your desired camping bed, the more the price will rise in most cases. Finding an extremely large sized bed is more difficult than a regular size. The size of your camping bed will also be determined by how many people are sharing the bed. If you’re struggling to purchase one large solution, then you can always purchase single beds and place them close together. Two separate beds are also easier to transport than one large camping bed. Size is also important to consider because you need to make sure that you have enough tent space for it to fit when it’s fully set up. It’s recommended that you account for leaving extra space because you’ll most likely need space for your other belongings. The weight of your desired camping bed will need to be considered to a greater degree depending on your intended use. Most people will be content with a camping bed that is on the heavier side because this means that they will be sleeping in a more sturdy and comfortable product. However, if you’re going to be hiking, then you will want the camping bed to be as light as possible especially if you’re hiking long distances. If you’re transporting your gear in a car right to the campsite, then a few extra kilos aren’t going to make much difference. The best camping beds will be used long term as they will have a significant financial outlay, so you’ll be expecting it to last for many years especially if you don’t use it frequently. It’s important to know whether the camping bed comes with a warranty so that if the product does break or become damaged, then you can get assistance from the manufacturer with either a replacement or repair. The length of the warranty will depend on the brand, but they will usually range from 30 days to lifetime. It’s important to check what the warranty also covers which is normally defects but not damage caused by wear and tear. The whole reason for buying a camping bed is to have a comfortable sleep compared to sleeping in a sleeping bag. Not all camping beds will offer the same comfort, so this is an important thing to consider. The comfort of a camping bed will be determined by several specifications including the surface, frame and built-in suspension mechanism. Some camping beds have a mechanism that allows you to control the tension depending on whether you prefer a firmer or softer surface. The comfiest camping pads will have a foam mattress surface; however, if you end up with a camping bed that isn’t comfortable enough, then you can always add a blanket or sleeping bag on top. Not only does the weight of the camping bed itself matter, but you also need to check the camping beds weight rating allowance and that it can bear your body weight. This is important because it’s designed to be comfortable and suitable up to a specified weight limit. If you go over this, then you can end up splitting through the fabric and waking up in the middle of the night on the floor which isn’t ideal for your sleep quality. So it’s vital that you don’t accidentally purchase a child’s camping bed and lie on the camping bed before you go on your trip so you can instantly identify whether it can bear your weight without straining. One factor that is often forgotten about is the ease of setting up the camping bed. Most people aren’t aware that the first time you set up the camp bed, it can be difficult. After a few times of setting it up, it becomes much easier. 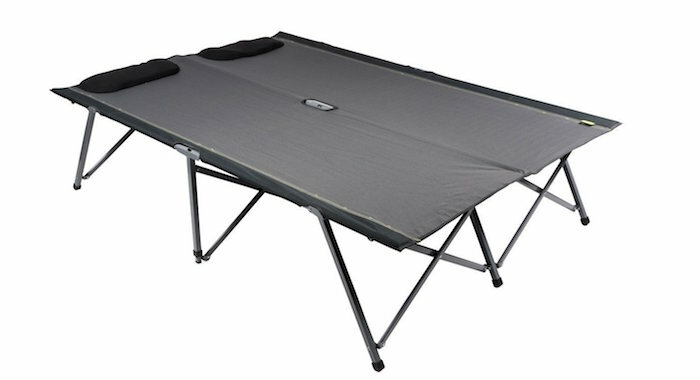 The brand and type of camping bed will determine the set-up time because cheaper beds will have mechanisms that are more time consuming to use. This refers back to your budget and the quality of the camping bed that you decide to buy. Always look at how to assemble the camping bed before making a final buying decision so you can gauge if it’s something that you could do. When the camping bed is dissembled, it needs to take up minimal space because space will be restricted when you’re travelling to and from your destination. Size isn’t always near the top of people list of considerations, but it quickly becomes essential once you begin to start your journey. It's an even more significant consideration if you need to carry it while hiking. To make it easier to carry, the best camping beds will be supplied with a carry case; however, this isn’t as important if you have made arrangements to drive straight to the campsite. It’s not just about how you store it when travelling but also when you store it at home. There’s likely going to be significant periods where you’re not using it, so you don’t need a camping bed that’s too big that’ll clutter your home. The primary use of a camping bed is to comfortably bear the weight of the user, so this requires a sturdy frame. The structure needs to provide support without feeling like its straining which makes aluminium and steel great materials for this, with both having their different benefits. Aluminium is recommended if you need to transport it frequently because it’s lighter in weight yet strong enough to hold your weight. Steels main property is durability making it more suitable if you're going to be using it frequently; however, they are heavier so will be slightly more awkward to move around. The best camping beds will be a combination of both steel and aluminium where the upper section is aluminium while having steel legs, so you get the best of both worlds. It’s important to consider the materials that your camping bed is made of as this will determine how comfortable and durable it is as well as the weight. Camping beds are commonly made from nylon or polyester which are not only strong but also lightweight meaning that it can bear large weights but still be portable. Nylon and Polyester are also ideal because even if it rains, it can quickly dry itself which makes it superior over other fabrics that may absorb water and make it more substantial in weight. These materials are also easy to clean and maintain making it longer lasting. Camping beds are available for several uses and needs. Single camp beds are great for adults; however, if you’re camping with kids, then you also have the option of bunk camping beds which allows you to conserve space especially if you have more than one child. It’s crucial that you consider the height and width of your tent because they will be higher than a conventional one person camping bed. Bunk camping beds will also require more transportation space, so this also needs to be considered when making travel arrangements to your destination. The most important consideration for most people will be the price of the camping bed which can start as low as £30 but can be as high as several hundred pounds. It’s important to set out your max budget and stick to it, and the amount you spend will be linked to the types of brands that you can purchase from. Generally speaking, the more premium brands will be costlier, but the quality of the products will usually be better meaning that they will last longer before deteriorating.